Dry boat weight: 1650 lbs. 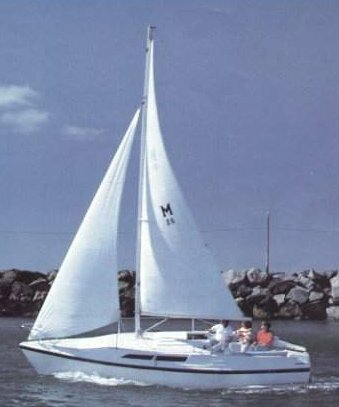 An earlier model, called the MACGREGOR 26D was similar but with a (vertically) lifting keel. (also with water ballast = reduced weight for trailering. Not to be adjusted while sailing). 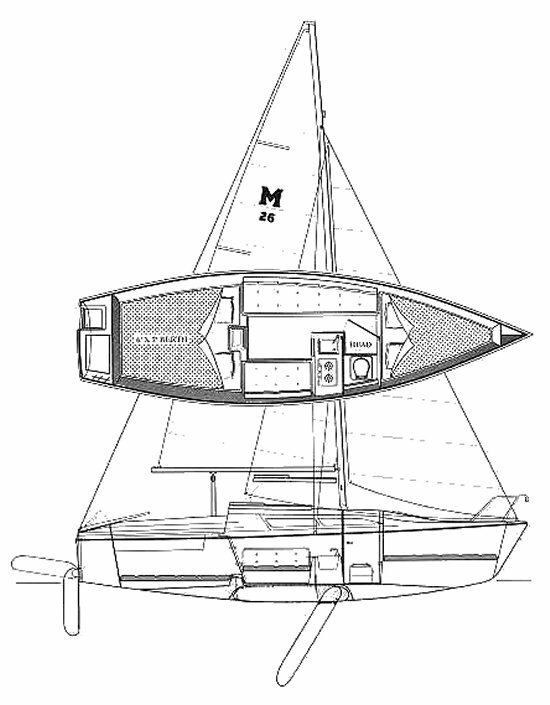 Spinnaker area: 360 sq. ft. Thanks to a number of Macgregor owners for providing corrections and updated images.